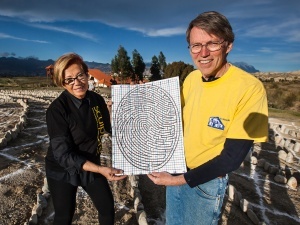 These unique large scale labyrinth designs, based on human fingerprints, are designed for walking meditation and to celebrate our individual journeys through life. They are planned to be large installations, from ¼ to ½ the size of an American football field. 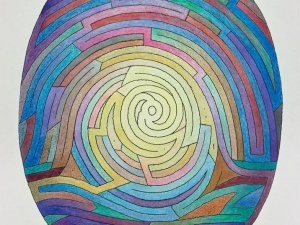 Each path is continuous, without dead ends or confusion. They are not mazes though they may resemble them.